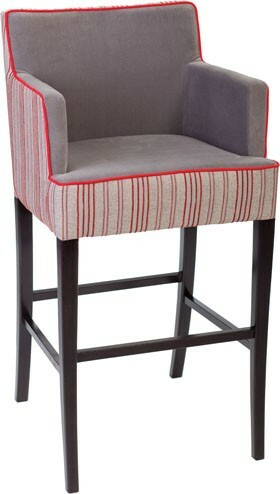 Fully upholstered stool with beech wood legs. Available without or with arms. Seat height 800mm. Matching chairs available.